Da Capo Lifelong Books, 9780738218458, 336pp. When it comes to cancer, conventional doctors are trained to treat their patients exclusively with surgery, radiation, and chemotherapy. These methods are grueling on the whole body - and they don't treat beyond the tumor or the cancer itself. The focus is on the disease, not the whole person - and because of this, the outcomes in conventional medicine can be bleak. But it doesn't have to be this way. Dr. Leigh Erin Connealy has developed a whole-person approach to treating cancer - and these treatments have helped thousands of patients through her Cancer Center for Healing. 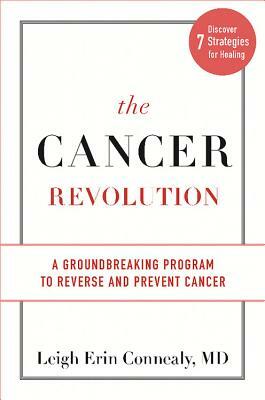 In The Cancer Revolution, Dr. Connealy shows you how to get to the root causes of cancer and the practical steps you can take to get back on the path to healing - from balancing your body's chemistry with nutritional supplements, following a healthy food plan, detoxifying your body and home, exercising regularly, getting deep restful sleep every night, practicing stress reduction techniques, and putting together a supportive healing team. Leigh Erin Connealy, MD, has been practicing medicine for thirty years. Dr. Connealy attended the University of Texas School of Public Health, and the University of Health Sciences Chicago Medical School. She completed her post-graduate training at the Harbor/UCLA Medical Center in Los Angeles, California. She is founder and medical director of the Center for New Medicine and Cancer Center for Healing in Irvine, California. Dr. Connealy's work has been published in many scientific publications Her daily newsletter, Newport Natural Health, shares free tools for improving health with natural medicine.